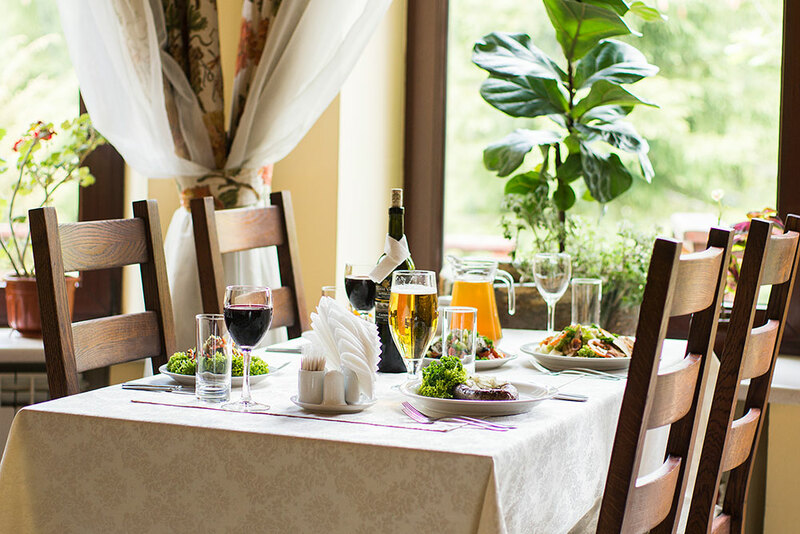 You are a guest of the hotel or an admired tourist of the city, a miraculous nature and crystal clear air will cause you the desire to eat deliciously! 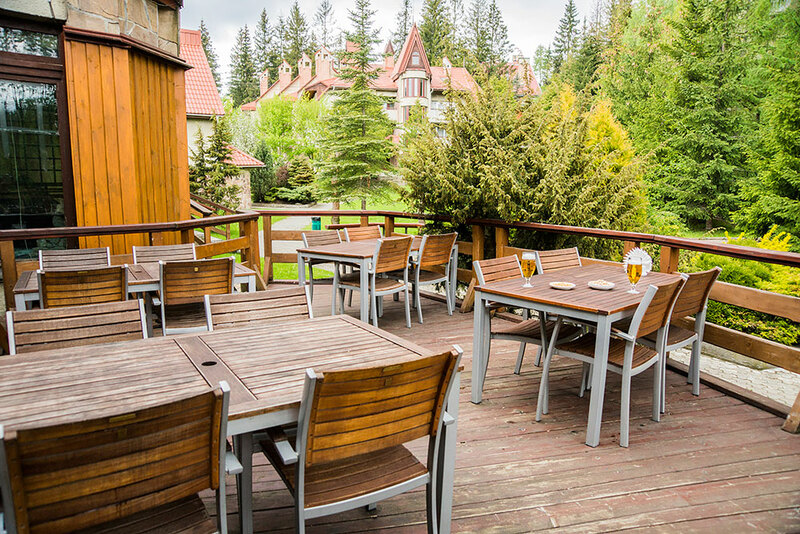 Here you will find the cozy atmosphere of the restaurant, an open summer terrace, a bar, pleasant interior and professional service, as well as a refined menu and democratic prices that will not leave you indifferent. 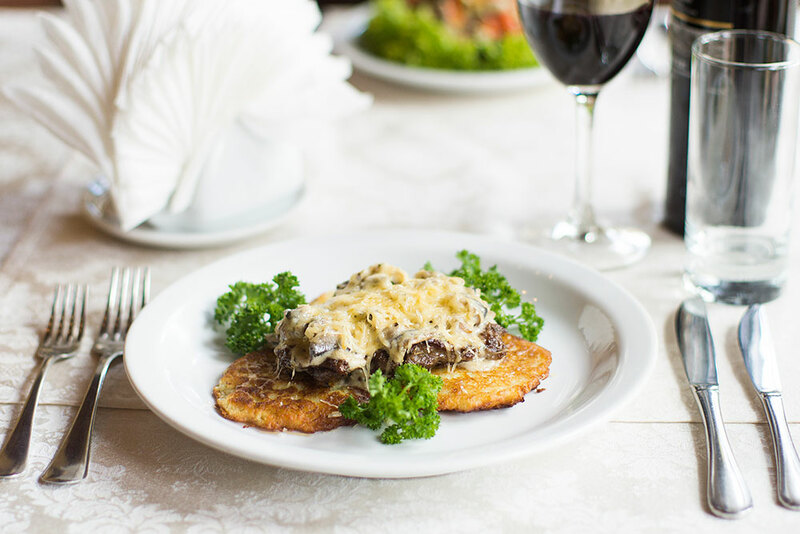 We are proud of our exquisite dishes of Carpathian cuisine. 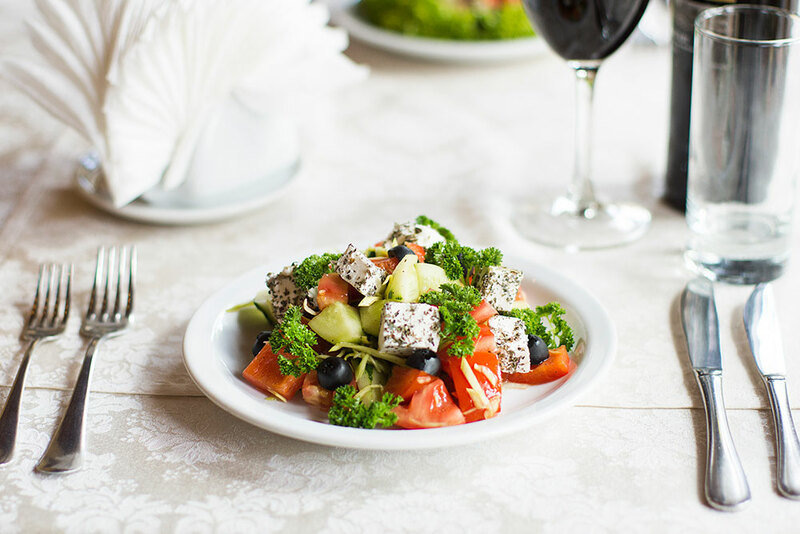 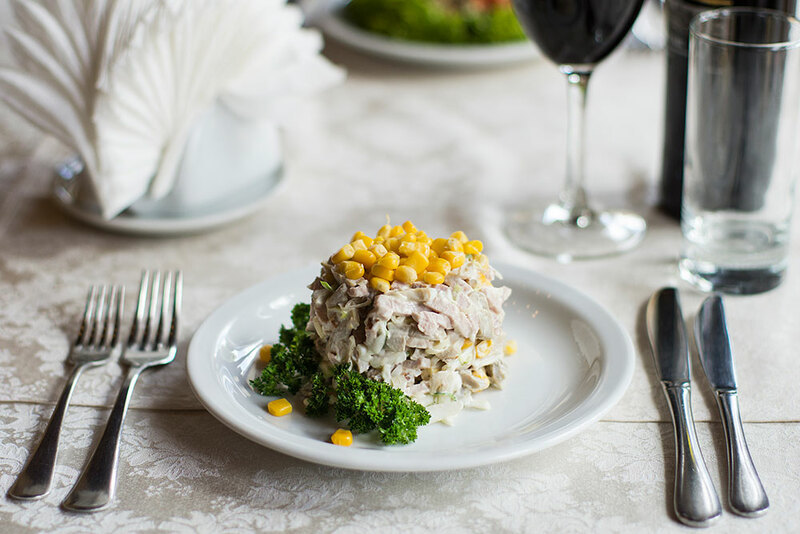 Only here you can try unusual herring in apples, real Carpathian mushrooms in sour cream, "Trostyan" chop, and what is especially pleasant for our guests is unmatched hominy. 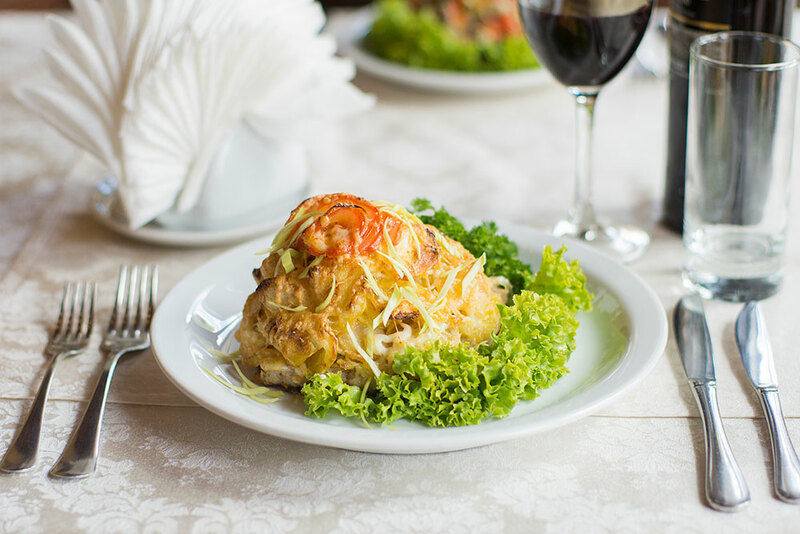 The restaurant offers a complex and individual order from the menu. 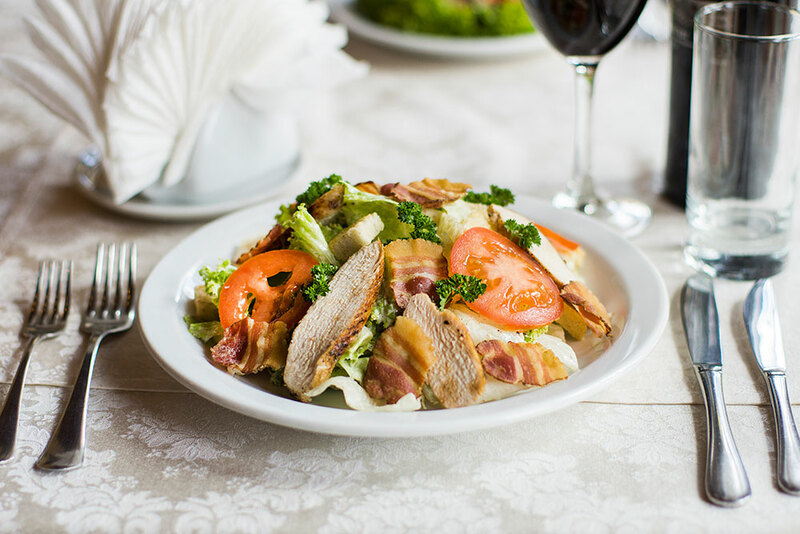 Also for young guests there is a children's menu. 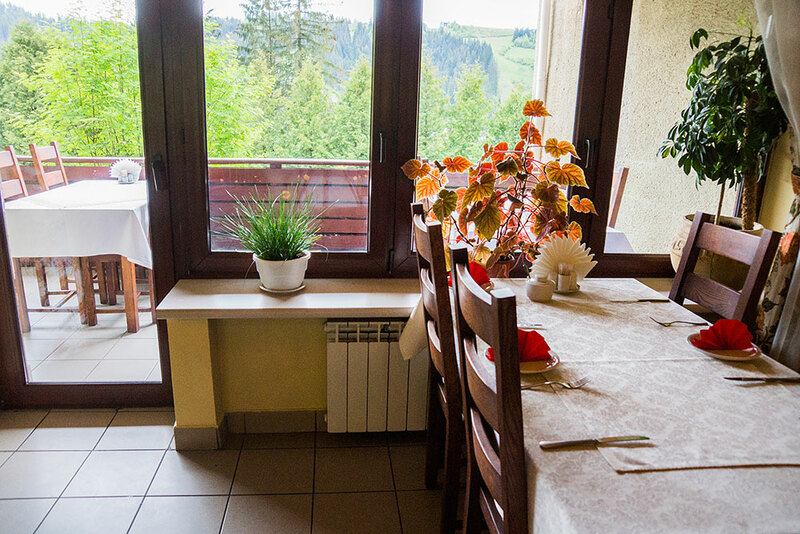 The restaurant in the "Pearl of the Carpathians" is an ideal place for a small buffet table, weddings, banquets, business lunch, corporate parties, family celebrations and romantic dates. 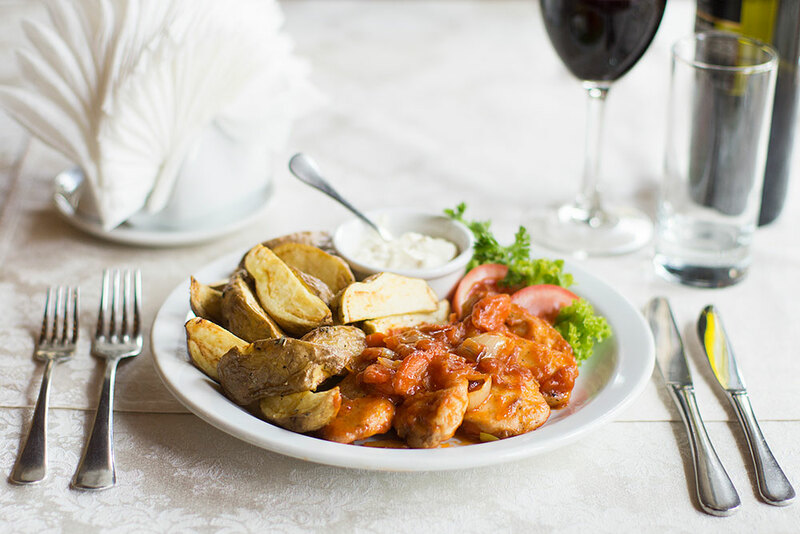 Try dishes cooked with love. 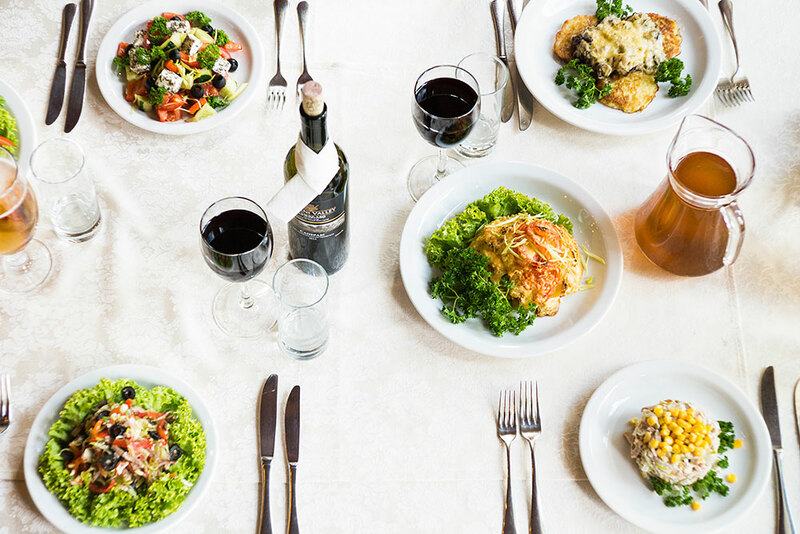 For group arrivals the meal plan and menu are coordinated according to your desire. 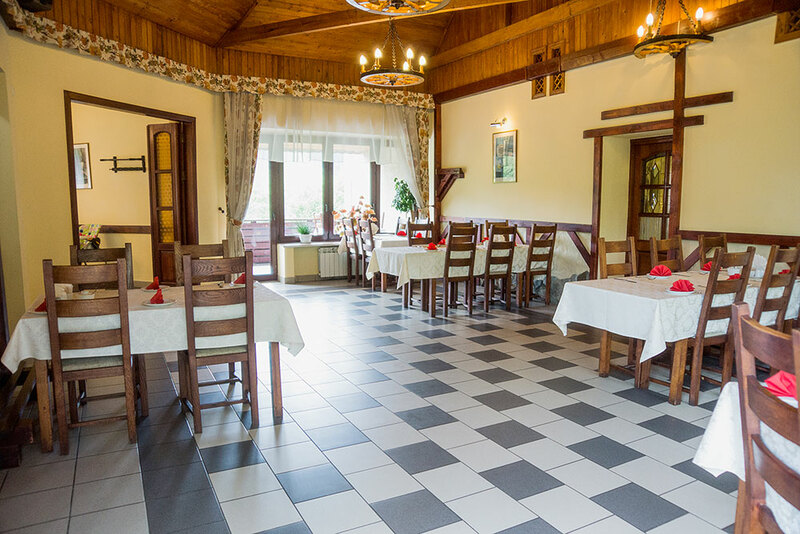 Virtual tour of the restaurant in the hotel "Perlyna Karpat"